Hope you are having an amazing day so far, wherever you live! I have exciting news for you all- I am a RocksBox's girl! If you have not seen my Instagram posts and Insta-stories! Then you have seen my pieces that I have been drooling over. You will find my posts regarding about the monthly subscription here! Under "fashion"
Rocksbox is a monthly subscription box that is basically a "try before you buy" type of thing. It is so easy, you can sign up with my code “misscindylouwhoxoxo” for a free month of Rocksbox! If you need help finding your “style” you are in luck- You have a stylist! When you sign up for an account you take a little questionnaire asking about your types of metals you like or stones- it will narrow down your choices for what your stylist picks for you for your monthly box. You can even swap pieces if they are not in your taste! I love the customer service. I love it how you get an extra $10 off your whole entire purchase of a box. It's so easy to pick and choose and send back. You get unlimited boxes a month when you send one back- once the tracking is initiated you get to swap your pieces if needed! I am loving my three pieces! 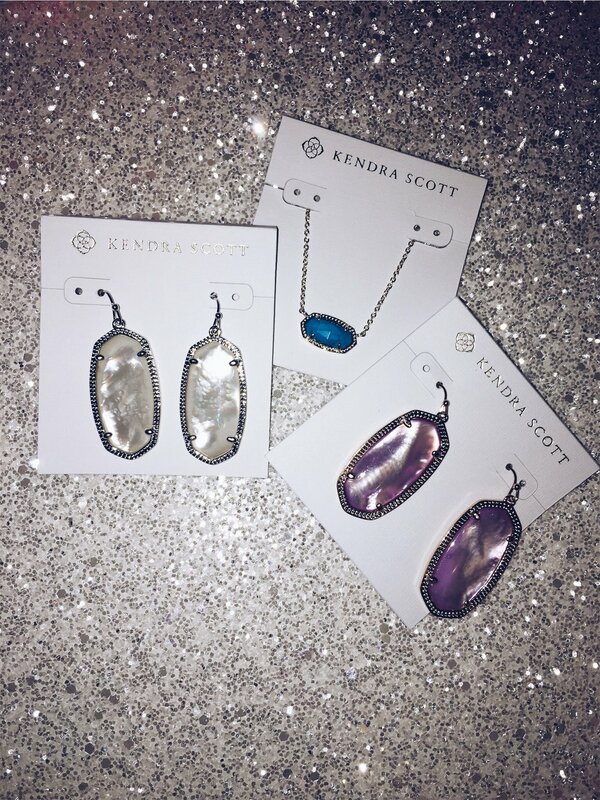 I am a fan (obviously) of Kate Spade and Kendra Scott! My top two favorites. I wore the lilac and rose gold earrings to my cousin's wedding! They are so stunning on. Very dainty and pretty. If you would like to directly purchase the exact pieces, I have them listed down below! You can purchase direct pieces on Rocksbox, but not all pieces of jewlary. This is a sponsored post by RocksBox. All thoughts are my own.